The three most tragic school shootings began outside of the school buildings, buildings that had the most current forms of access control at that time. 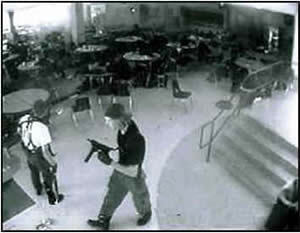 At Columbine High School in Colorado, two perpetrators avoided the locked front entrance and shot their way into the side entrance, ultimately killing 13 and committing suicide after 55 minutes of terror. 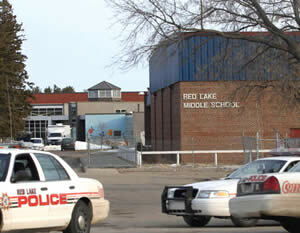 Red Lake High School in Minnesota had locked entrances and metal detectors, along with a security guard. The access controls were breached by a vehicle and the security guard was the first person killed. Once inside, the shooter killed six others and wounded another six students. Even with the local police department right across the street, the reign of terror lasted nine minutes. Sandy Hook Elementary in Connecticut had locked, monitored front doors. 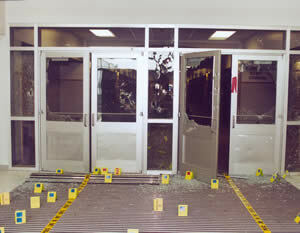 The shooter avoided the locked doors and shot out the side windows. The school secretary ducked under the front desk while listening to the shooter pace the office and hallway, shooting and seeking other victims. She answered three phone calls while crouched under the desk. Nothing could be done to stop the five-minute reign of terror once the shooter was in the building, other than the shooter committing suicide. The shooter killed 26, including 20 young children, and wounded 2 adults. Each of the above tragedies could have been averted had there been a shooter suppression system in the buildings. Crotega is the first to bring this protective infrastructure innovation to the market. In each of the three cited cases, and in most school shooting cases, an adult in the building visually recognized the threat and would have had time to activate a shooter suppression system. In over 95% of the school shooting incidents, either the shooter completes the reign of terror by committing suicide or an In-House Responder takes the shooter down. In only a small number of cases does law enforcement arrive before the incident has been contained. Since 1992, there have been 387 school shootings in the U.S. In 63 active shooter events analyzed by the FBI in which the duration of the event could be determined, 44 were over in five minutes or less and of those, 23 ended in two minutes or less. Crotega’s solution provides In-House Responders the protection to maintain control of their building, while removing the ability of the perpetrator to take over control of the building.